These new perennials showcased eye-catching color and performance at the Costa Farms spring trial. The Costa spring premier trial focuses on performance and presentation under spring-like conditions. The perennials were planted week 50 from a 20 tray liner, and I evaluated the new introductions on week 10. The growth, development and performance during these 12 weeks reflect what we should expect to see later in the summer in trials throughout the country. This gave me the opportunity to evaluate floriferousness, heat tolerance, habit, foliage quality and durability. I will now describe the new perennial introductions trialed by assorted breeders that produced dramatic eye-catching flower presentations. The article has a significant emphasis on salvia and leucanthemum because many were represented, and they were colorful and stunning in the trial. vibrancy and hue. The series is comprised of four bicolors, the solid yellow and a mix. This is a programmable, bench run series with exceptional uniformity, narrow flowering window and minimal vernalization requirements. They are hardy to Zone 4 and mature at 18 to 24 inches. Based on the habit and performance in the bench trial this will be an excellent series for quart production. We have a multitude of exceptional coreopsis seed and vegetative varieties available, but this new standalone vegetative coreopsis caught my eye for many reasons. The architecture was outstanding with strong, upright stems and the flower canopy positioned nicely above the foliage for a colorful presentation of gold flowers with a deep red splash on each petal. This variety is hardy to Zone 5a and will bloom from late spring through fall. It has application in beds as well as in mixed containers. 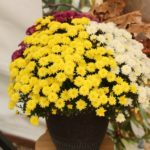 Danziger has entered the perennial market with many introductions including the highly successful Coreopsis grandiflora Solana series years ago and now ‘Rosanna’, which was an excellent performer in the Florida trial. This verticillata species with red flowers and yellow tips was compact with outstanding branching and a colorful canopy. It is hardy to Zone 4 and will begin blooming in early summer in northern regions. Mature height is 15 to 18 inches with excellent tight internodes and a mounded habit. variety is hardy to Zone 5A. 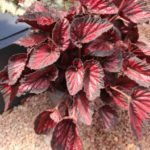 Africa, heat and drought tolerant, and dense with a mattelike growth habit maturing at 4 to 6 inches in the ground and more compact in mixed containers. The flowers in the trial were large, vibrant and produced a colorful canopy. 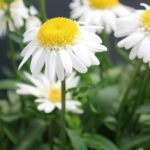 The series has been trialed for hardiness in North America before the introductory year and are hardy to Zone 5. This series will have excellent application in quarts and mixed succulent containers. This is the first dianthus introduction for Floranova, and the series was dwarf, dense, uniform and floriferous in the spring trial. It is an interspecific, barbatus chinensis cross comprised of four colors including White, Raspberry Picotee, Purple Ice and Purple for 2019. The color saturation and brightness of the flowers was stunning, especially Purple Ice. 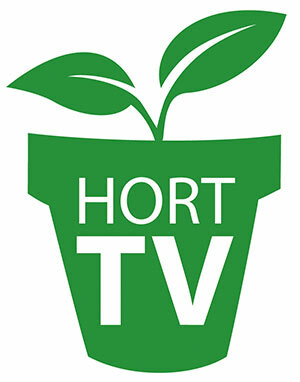 The series is early to bloom, hardy to Zone 6, and all colors flower within four days of each other. It was in many fall and winter trials as well as many grower trials. This will be an excellent addition to the fall, winter and spring markets, and has application in packs and quarts. Three colors were introduced last year: Red, Orange Halo and Yellow Touch. For 2018-19 we have three additional colors: Yellow Halo, Copper Sun and Red Starburst. 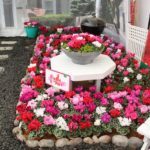 This series is characterized by uniformity, earliness, vibrant colors, matched flower timing, day length neutrality and excellent garden performance. The series matures at 8 to 10 inches and is hardy to Zone 4. Of the three varieties in the trial, Red Starburst was the most stunning with a striking red center and yellow tips. This series consists of three varieties: Grace, White and Chic. All three have large white single flowers, with yellow eye and overlapping petals and a prodigious flower canopy. Grace will begin flowering two weeks later than Chic and White, and it is the most vigorous in the series maturing at 18 to 24 inches. White and Chic have a more compact habit, maturing at 14 to 16 inches. They will begin blooming in the northern regions in May and maintain color through mid summer. Vernalization is not required for the series. It is first year flowering and varieties are hardy to Zone 4. Based on flowering performance at this spring trial, the series will provide an excellent presentation at retail. Growers in the south begin selling this series in February, and Chic is recommended for quarts, White for gallons and Grace for 2-gallon production. This addition to the Sweet series manifested the attributes that we have seen in Christine, Cher and Jane, the first introductions to the series. Sophie was naturally compact and early flowering, with a tidy habit and dense foliage. The flowers were pure white with a yellow center and were fluted, which sets it apart from the other forms that are single, double spoon and spider types. This is first year flowering, and vernalization is not required. This variety is recommended for quarts and gallons. The entire series matures at 8 to 12 inches and is hardy to Zone 4. They will begin flowering in the northern regions in late spring and continue to bloom for 14 to 18 weeks. to an already crowded portfolio of seed and vegetative varieties. This nemorosa-pratensis hybrid was colorful in the trial with dense racemes forming near the crown of the plant and extending above the foliage to provide a bright blue vibrant canopy. This is a sterile selection, which will continue to reflush through the late spring and summer, maturing at 20 to 24 inches and hardy to Zone 4b. 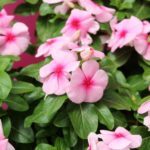 It has excellent winter hardiness and heat tolerance. to bloom throughout the summer. The series is hardy to Zone 4 and matures at 14 to 16 inches. Application includes border plantings, containers and mass plantings. 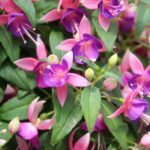 ‘Ronica Blue’ was introduced initially followed by ‘Ronica Fuchsia’, which I saw in fall trials last year and this spring trial in Florida. This is a compact but vigorous series with excellent foliage, first year flowering, and most impressive and significant is the long terminal inflorescence with excellent vibrancy and color saturation. These varieties will continue blooming throughout the summer if cut back. They have application in mixed containers and sunny borders. This series has good mildew and rust resistance and is hardy to Zone 4.